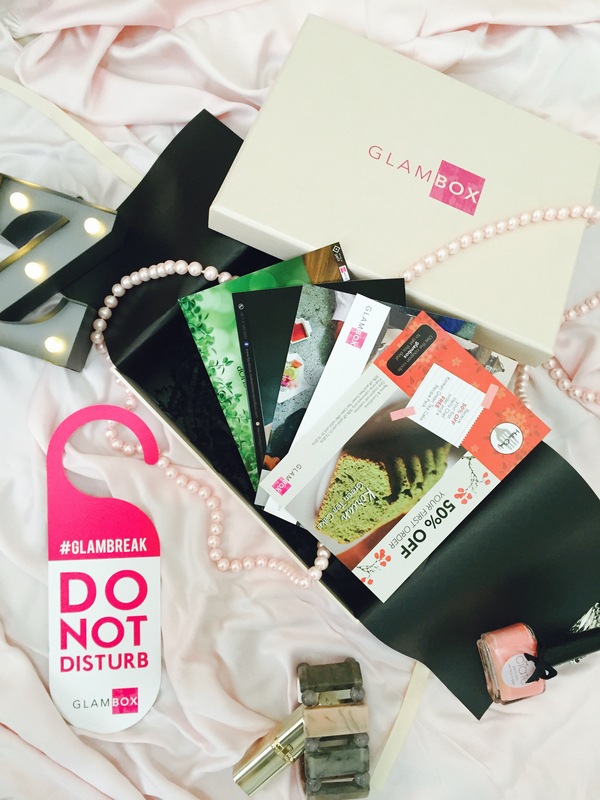 You would have to be living under a rock if you haven’t already heard about GlamBox, which is a monthly subscription box that brings a selection of the latest beauty products right to your doorstep. 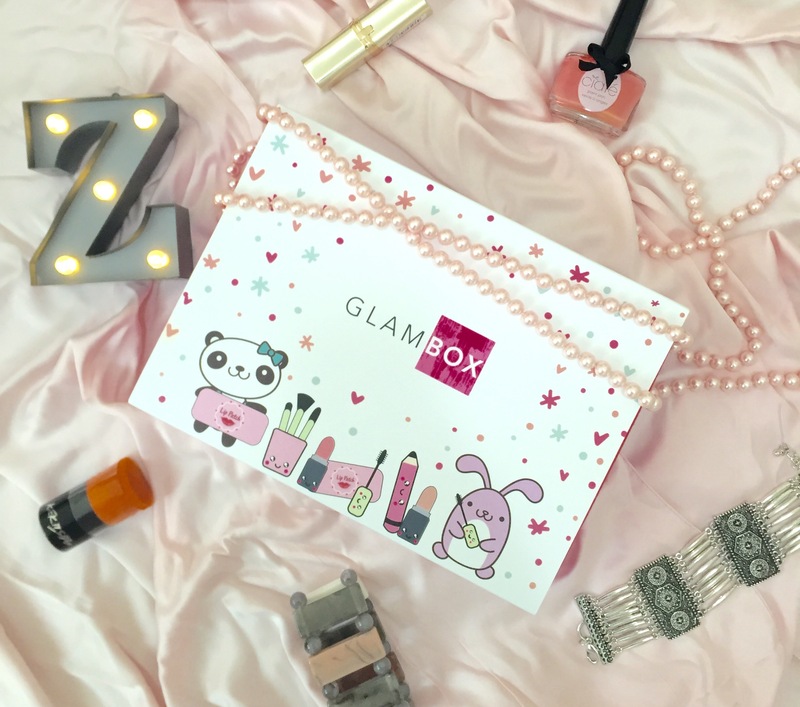 Well, this month you are in for a real treat, as GlamBox have partnered up with Korean Beauty brands to bring you some great beauty must-haves! We all know that Korea is leading the way when it comes to the world of cosmetics, and this little box is a great starter kit to introduce oneself to Korean Beauty, if you haven’t already delved into experimenting with them. This is the very reason that I was more than intrigued to have a peek inside this month’s special edition GlamBox, having never tried the much raved about Korean Beauty products before. If you are still in doubt about whether you want to purchase it or not, I hope that this unboxing will help you make that decision! Don’t forget, if you do want to grab a hold of these goodies, you need to subscribe before September 14th! Trying out a lips modelling gel for the very first time was indeed an intriguing experience. The gel patch is slippery and saturated, and felt quite tingly and cold when I first put it on. I did have to lay down to stop it from slipping off, which was quite a treat, being a mother to a toddler! It is directed to be used on your lips for about 10-15 minutes, and after about 5 minutes, I could feel a warm tingly sensation on my lips. 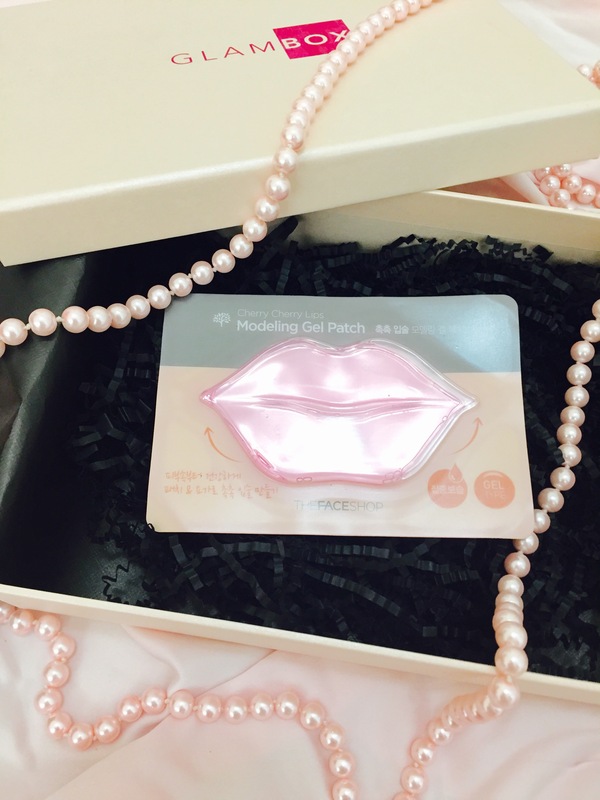 This gel patch is aimed at restoring nourishment and moisture to dry parched lips. After removing it, I simply patted the extra moisture on to the lips which was soaked up rather quickly. A very strange but refreshing experience. Highly pigmented, this Lip Creamer in the shade of Candy Violet is a hot pink unlike any that I own. 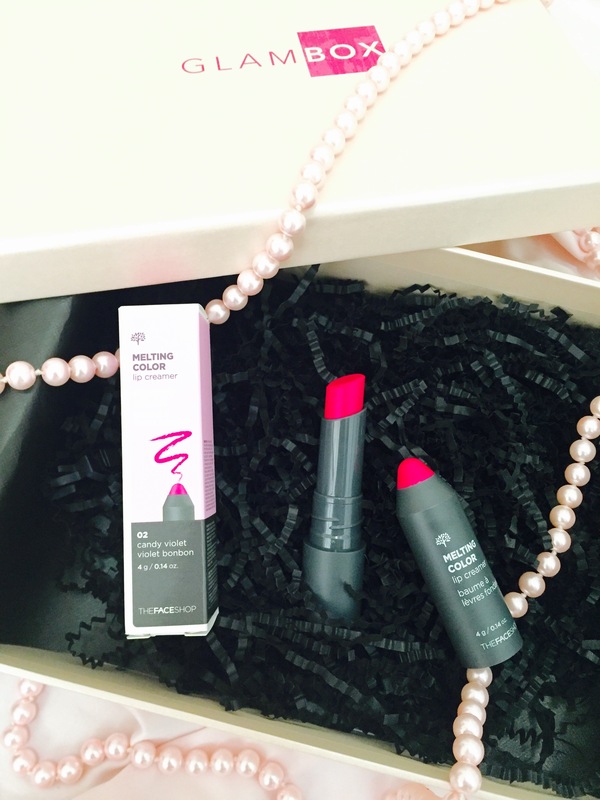 Combing lipstick and cream together, it glides on your lips with a lip balm like texture, and is not at all drying on the lips. There was still a slight pink tint to my lips after a few hours of application and a meal in between too, without reapplying it the entire evening. I love the packaging, especially the twist-and-click to open. This cleansing puff comes saturated in its packaging, and is very soft on the skin. The puff can be reused for approximately 2-3 months, and is a dark grey in colour. 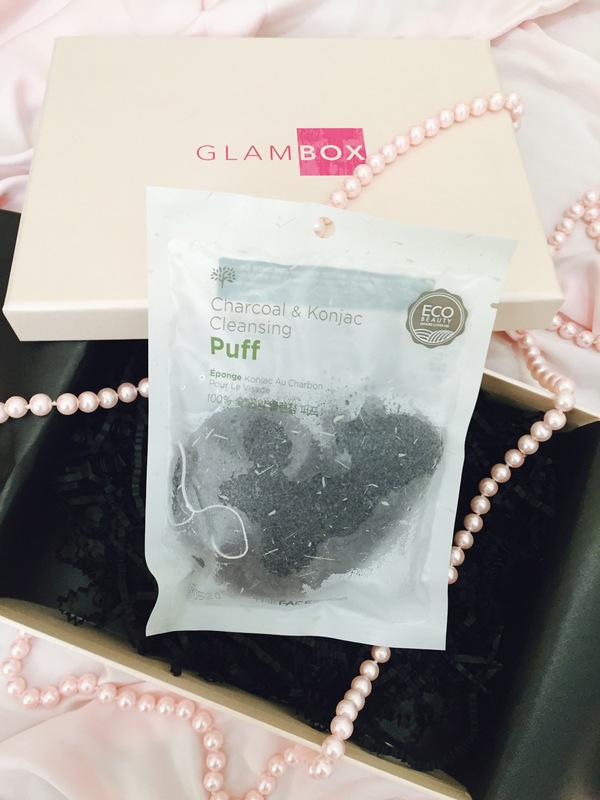 The Charcoal Plant Cleansing puff is made of all natural material and is to be used with your every day bath gel that you can squirt on top and use on your body as you would any other puff. Personally, I found the puff to be too soft since it is mainly made of 97 % water, however I normally like a coarser texture that I can exfoliate my skin with. The puff does get a little rough when completely dry but again, not as much as I prefer it to be. I was also slightly worried that there may be charcoal residue or black colouring that may get transferred to your skin as you scrub, but this was not at all the case. It works best for a gentle cleanse as the charcoal works to remove bacteria and poisons from the skin. If you prefer a softer puff and have sensitive skin, this is a great product for you. This Ice Tear Trial Kit includes two tiny bottles, a Toner and an Emulsion. One thing I learnt is that Korean Beauty involves a very thorough skincare regimen including about 10+ steps. The toner is used after a cleanser, and the Emulsion as a light moisturiser. 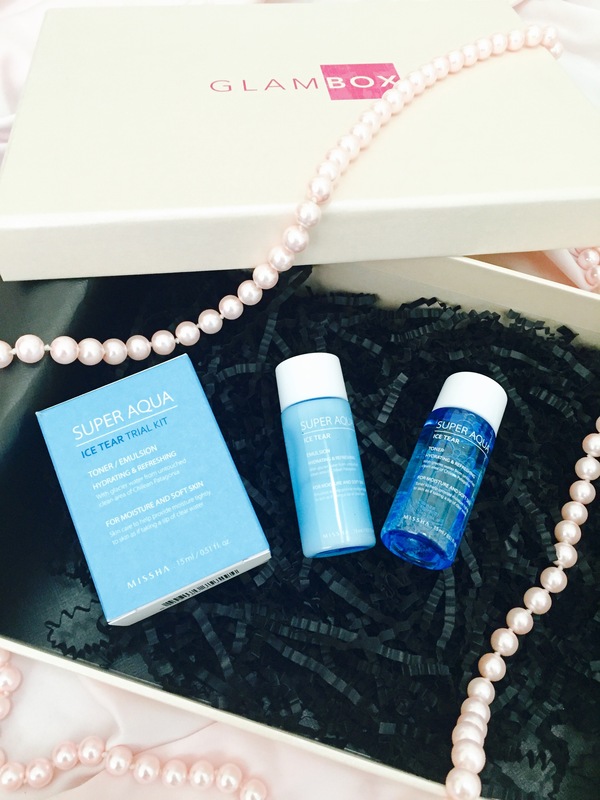 The Ice Tear Kit is extremely water based and SO refreshing. It literally is like washing your face with ice cold water. In this intense Dubai Summer heat, I found these products extremely hydrating to use, especially after removing your make up after a long day outside. 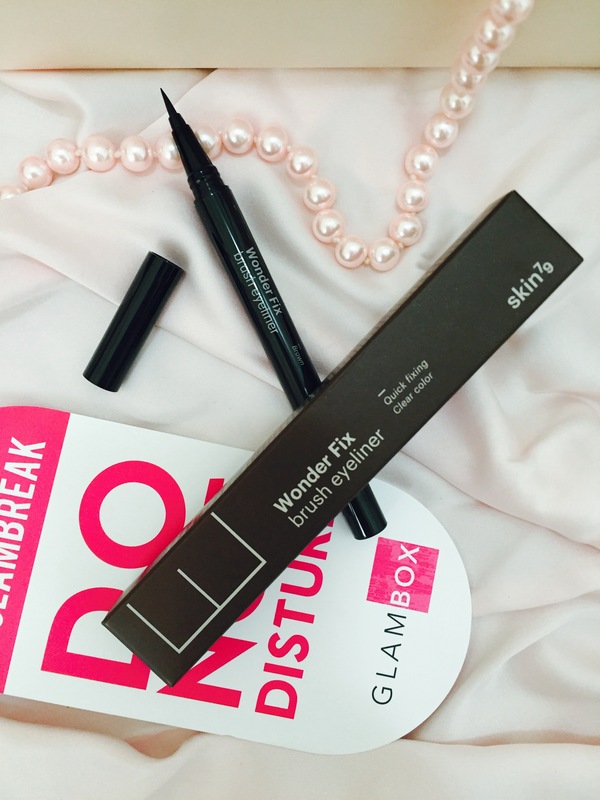 This is by far my favourite product from the Korean GlamBox because who doesn’t love a great eyeliner for that perfect winged look? I already use a black pen shaped eyeliner, though it is not as precise as this one, which is why I love this Brush Eyeliner even more. Though it is supposed to be used to fix those tiny gaps between your eyelids and eyeliner, it can be used perfectly well on it’s own to draw out the most clean and crisp looking cat eye. Also, the best part is it is long lasting, and trust me because I tried to wash this out with water from my hand after testing it out, and it hardly budged. Perfect! 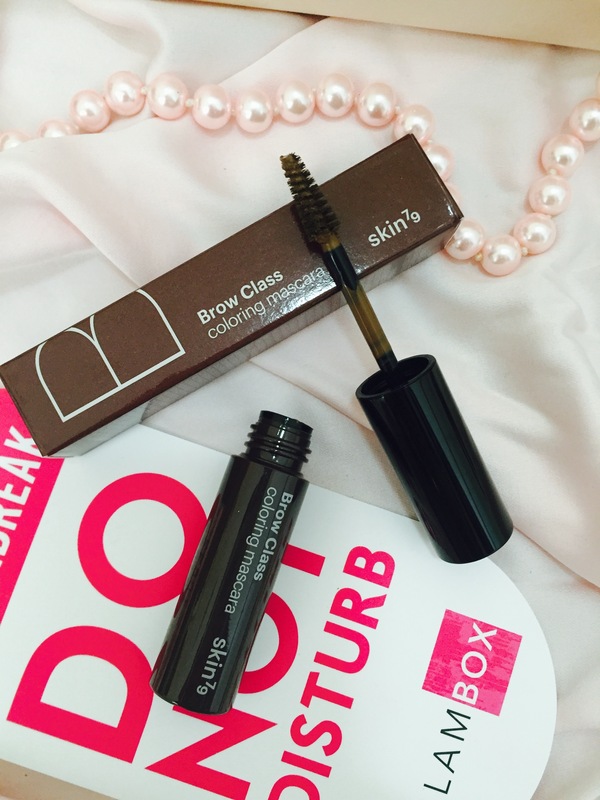 This colouring mascara in light brown is a tad light for my eyebrow colour, but I still enjoyed testing it out to create darker and fuller looking brows, as if Asian brows aren’t already! ha! I love that the applicator is so tiny, perfect to hold on to as your paint away on your eyebrows. I did find that I had to make sure to remove the excess product away before applying it, or else I would get brown streaks everywhere, so do be careful of that! As with all other GlamBoxes, this one too comes with a range of coupons that you can take advantage of. Overall, it is a really interesting box of products and a great introduction to Korean Beauty if you haven’t already tried them. The fact that the majority of the products have Korean instructions and ingredient lists is slightly unnerving, but thankfully general directions of use are provided in English! If you are interested in trying out these products, simply order your special edition Korean Beauty Box through the GlamBox website before 14th September! Hurry, there’s not much time left! You can also stay updated with the latest by following them on Facebook and Instagram. Note: I was provided the Korean Beauty Glambox for review purposes, however all views and opinions expressed above are my own. Must say, very impressed by the amount of item you get in this box! A very thorough review and great photos. Thanks Mel, glad you think so! Great product. Must try it. Absolutely! Thanks for stopping by!